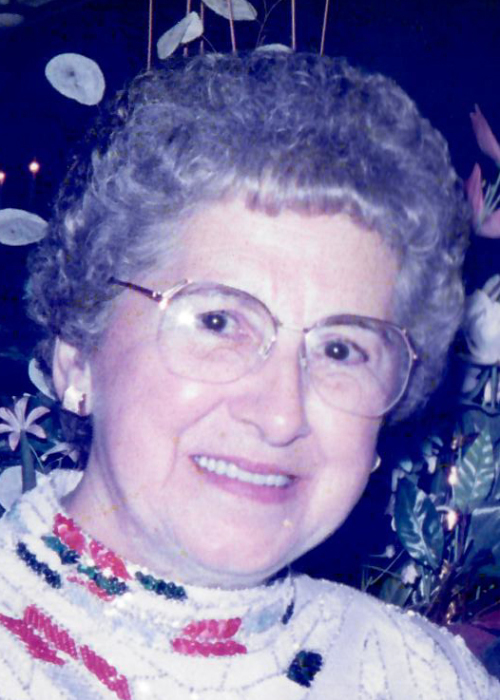 Doris H. (Gariepy) Bernier, 96, of North Smithfield, died October 29, 2018 in St. Antoine Residence, North Smithfield. She was the wife of the late Normand G. Bernier and the late Raymond G. Geoffroy. Born in Woonsocket, she was the daughter of the late Phillippe and Georgianna (Roy) Gariepy. Doris worked as a Dietary Technician for Fogarty Hospital. North Smithfield. She was an avid bowler and enjoyed knitting, travelling and caring for her family. She is survived by two sons, Richard Geoffroy of Deltona, FL and Ron Geoffroy of Providence; a daughter, Yvette Doiron of Mapleville; six grandchildren and ten great grandchildren. She was the sister of the late Raoul Gariepy, Alida Trudel, Aline Amarant, Lilian Chaput, Simone Girard, Marguarita Bouley and Hortense Lanois. Her funeral will be held Thursday, November 1, 2018 beginning with visitation at 8:30 AM in the Holt Funeral Home, 510 South Main St., Woonsocket followed by a Mass of Christian Burial at 10 AM in Holy Family Church, 414 South Main St., Woonsocket. Burial will follow in St. John the Baptist Cemetery, 314 Wrentham Rd., Bellingham, MA. In lieu of flowers, memorial contributions may be made to the St. Antoine Activities Fund, 10 Rhodes Ave., North Smithfield, RI 02896.